Vom 30.03.2017 bis zum 31.03.2017 wurden 24 Knowledgebase Artikel veröffentlicht. Unable to install Adobe Flash on Windows Server 2012. When using vSphere products dependent on Flash (for example, the vSphere Web Client). This article provides steps to configure ESXi to generate coredump as a file on VMFS. On ESXiESX hosts that are upgraded to ESXi 5.5 and later, the core file size is limited to 100 MB. In most cases this is not enough to handle the coredump file size. VMware recommends to configure the ESXi host to generate coredumps as a file. After upgrading to ESXi 6.0 Update 2 and joining the ESXi host to a domain, running these operations fail: Generating an ESXi log bundle. Assigning permissions to AD groups or users. Signing in to the host with AD credentials through the vSphere Client, vSphere Web Client, SSH or DCUI. Cannot create an isolated network in VMware vCloud Director (vCD). When creating an isolated network in VMware vCloud Director (vCD), you see the error:vdnscope-x does not existNote: where x is the vdnscope ID. The Organization vCD is using a VXLAN Backed network pool. Using alternative network pools may work. This article provides information on how to check and confirm the vSphere Data Protection used capacity via command line. Note: VDP used space is shown in the VDP Plugin > Reports tab. When you try to submit a request for a catalog item after upgrading to vRA 6.2, it fails with an error The data specified within the request is invalid. java.lang.IllegalStateException: Expected BEGIN_OBJECT but was STRING This issue occurs when split authorization headers of a SAML token are not merged correctly. The same error might be seen if the user adds IaaS Capacity Usage by Group portlet in the Home page and tries to filter the dropdown by a groupname containing a non-ASCII character…. This article provides information on some of the frequently asked questions about vCenter High Availability (VCHA). 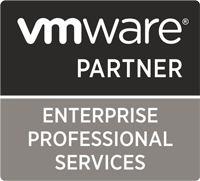 vCenter HA protects the vCenter Server Appliance against host and hardware failures. The active-passive architecture allows to reduce significant downtime when patching the vCenter Server Appliance. For more information see the vCenter High Availability section of the vSphere Availability guide. During operations in a VMware ESXi 5.5 P05 environment, you experience these issues: You cannot perform any virtual machine operations on an ESXi host, such as power-on or vMotion. The files used by the virtual machines running on the host are locked by other processes or hosts. Deployment of NSX Controller(s) fails. NSX Controller fails to join the cluster. Running the show control-cluster status command shows the Majority status flapping between Connected to cluster majority to Interrupted connection to cluster majority. ESXi hosts running 5.5 p10, 6.0 p04, 6.0 U3, or 6.5 GA may fail with a purple diagnostic screen caused by non-maskable-interrupts (NMI) on HPE ProLiant Gen8 Servers.